Chamber Continues Reign of Error! TFP in Subway trash can. The absolutely corrupt and irresponsible S-T Chamber of Commerce turned a blind eye to board of director’s member Sonia Tatulian. Tatulian is an anathema within the publishing community and real estate industry. With that said: “You have to ask yourself, if I had an employee that told everyone that “I am going to put you out of business,” how long would you keep them? Sonia Tatulian is the owner of a local tabloid that falsely claims to adhere to the Society of Professional Journalists’ oath of ethics. She also is owner of a local business association that when she attends the S-T Chamber of Commerce events, either hijacks it or passes out her business association cards. Over the years, she has elicited the help of mentally challenged individuals who ranged far and near stealing copies of The Foothills Paper as well as vandalizing The Paper’s vehicles. Not a good showing for a member of the chamber board of directors. Tatulian on the surface, appears to look like a normal business woman, but the reality is that whatever Tatulian touches, loses money if not their ability to survive in our community. Tatulian sank the Watermelon Festival, The Easter Carnival and destroyed the financial viability of the S-T Chamber of Commerce by spending their $10,000 CD, and in passing, destroying ALL of the chambers documents, bylaws and corporate operating documents. The old adage goes “The victor writes the history books!” I guess that also includes all the financials of the chamber of commerce. No books, no theft? But you can’t blame Tatulian by herself, the lackluster Executive Board has allowed this to continue over the years. Possibly president Monique Reneaux has a death wish for the S-T Chamber? Stupidity abounds within the chamber board. It took a civil lawsuit to force Renaux and Chamber Treasurer Mike Shar to produce a list of who is/was on the board of directors. The next step is a fullblown lawsuit against the chamber and its board of directors for damages. But as The Foothills Paper attorney has discovered, the majority of their financial loss will be covered by “Directors Insurance,” so it won’t hurt them much. 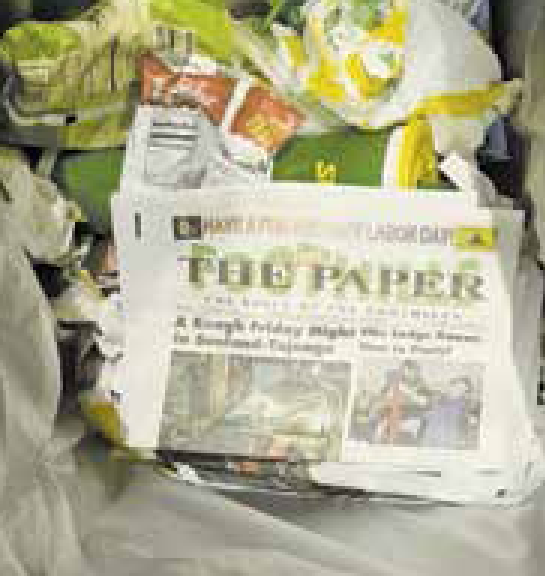 In the meantime, Tatulian has been seen and photographed by employees of different stores stealing and trashing bundles of The Foothills Paper.